The LEVAC Ex floor design is unique to Junair and has been developed to suit the specific needs of the paint spraying process. The LEVAC Ex is a surface mounted design, requiring no builders-work excavation. Height from building floor to spraybooth floor is only 140mm and only a small, unobtrusive ramp is required to access the cabin. This makes it easy to load and unload vehicles, removing the excavation element significantly reduces installation costs and removes the disruption associated with excavation allowing a quicker installation. A fully extracted and balanced floor provides better air movement when painting off-car panels and a vehicle together, preventing contamination from overspray and speeding up the curing process. Mist clearance times are reduced creating a safer environment for the operator. No excavation is required for the LEVAC Ex floor which saves money and work disruption. PolyMat Ex longlife extract filter to promote a longer life for your spray booth oven. PolyMat Ex lasts longer than traditional duplex extract filters giving you longer between filter changes. 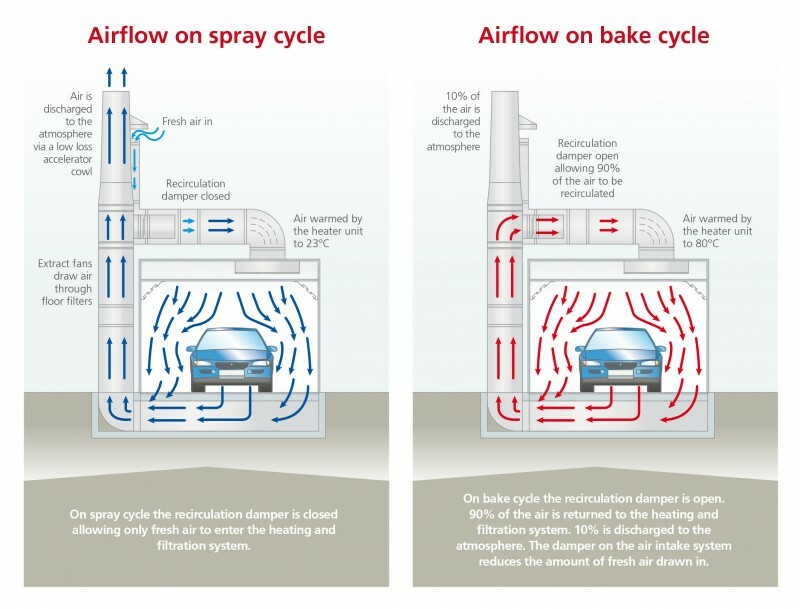 The inner workings of the spray booth are kept cleaner for longer, reducing build-up of over spray inside the air handling plant, increasing the longevity of the spray booth.